The price of S-Cross (top trim) is getting reduced by around 2 lakh INR .From the house of Maruti Suzuki, S-Cross is the first ever proper premium product launched in India. Maruti S-Cross crossovers are sold via company’s NEXA dealerships that currently offers the Baleno premium hatchback. Talking about the price tag, the Maruti S-Cross was priced a bit above-the-par and car buyers and enthusiasts found it very hard to believe that Maruti would cost so much. The external factors like Hyundai Creta which got launched in similar timeframe turned out to be less impressive. 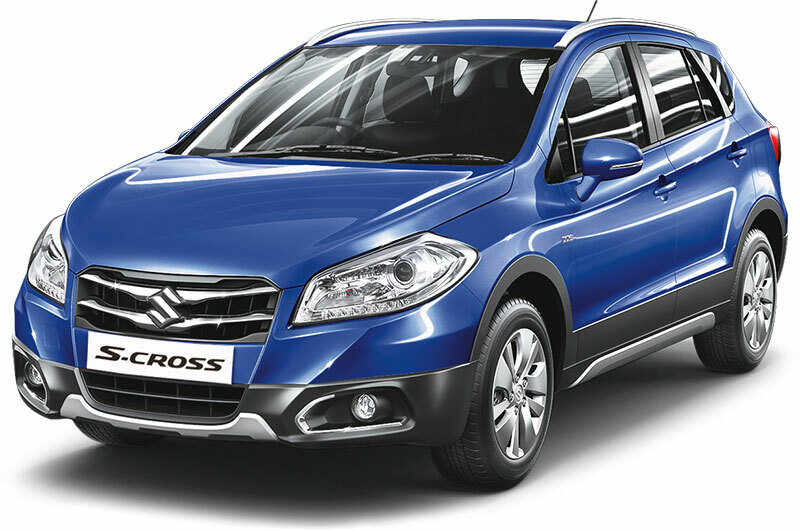 Now, Maruti Suzuki has slashed the prices of S-Cross by a very significant margin. While the DDiS 200 variants are seeing a pretty minor reduction, the DDiS 320 trims have a massive reduction to the tune of INR. 2 lakhs. Under the hood, Maruti S-Cross gets two different engine options. The 1.3-litre Multijet engine which is called as the DDiS 200 engine that churns out 90 PS of power and 200 Nm of torque, mated to a 5-speed manual gearbox. The car generates a fuel efficiency of 23.65 kmpl. S-Cross’s other engine is a 1.6-litre Multijet DDiS 320 oil-burner that delivers 120 PS of power and 320 Nm of torque which is mated to a 6-speed manual gearbox. The vehicle doesn’t get an automatic transmission or an AWD drivetrain. The primary reason for Maruti Suzuki to reduce the pricing is due to the competition and wide range of options available for customers – Ford EcoSport, Renault Duster, etc. that has got an SUVish stance to them which attracts more buyers. By slashing the prices, Maruti hopes to win a good chunk of customers.